This brilliant Silver Spaceman Costume is perfect for TV/Film/Decade themed fancy dress occasions! Included in this outfit are Jumpsuit, Hood, Gloves and Boot Covers. Prepare for lift off with this brilliant Silver Spaceman Costume, perfect for TV/Film/Character fancy dress occasions. This costume includes Jumpsuit, Hood, Gloves and Boot Covers. The glimmering all-in-one jumpsuit will be sure to make you stand out at any party. 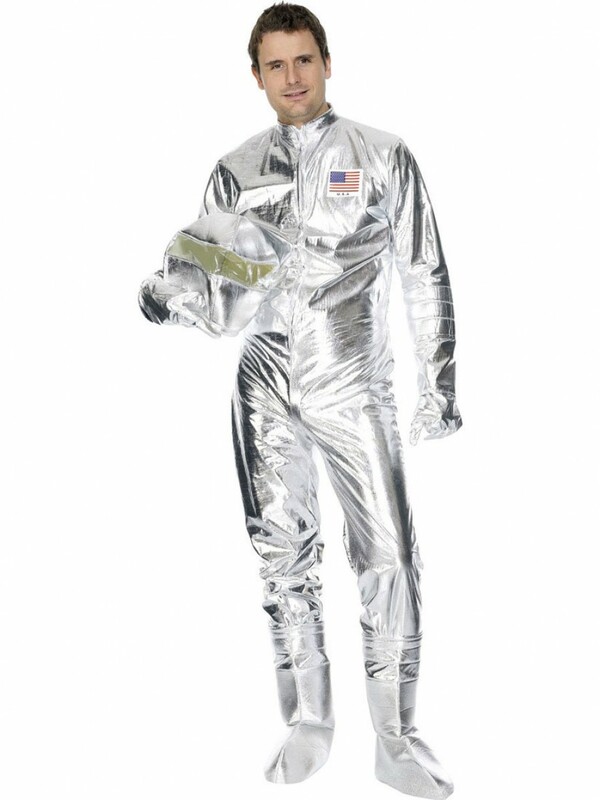 The shiny jumpsuit has the American flag on the top left section of the chest area to add some colour and authenticity to the Silver Spaceman costume. Also included is a silver hood which goes over the wearer’s head like a mask, this has a clear panel in front of the eyes like most spacemen, allowing you to see out. A pair of shiny gloves and matching boot covers to be worn over shoes, perfectly complete the look! 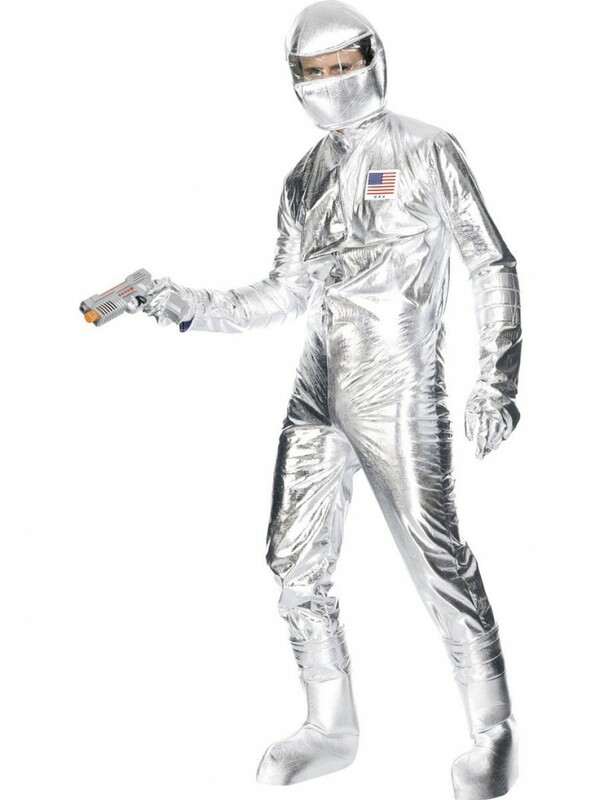 This Silver Spaceman Costume is perfect for Film/TV fancy dress occasions! Silver Spaceman Costume including Jumpsuit, Hood, Gloves and Boot Covers.